Fun City is a leading family entertainment concept across India and GCC. It is known for it adrenaline-filled amusement, family rides and a host of interactive gaming arenas. 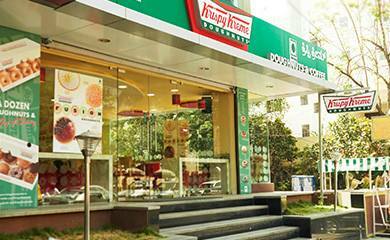 Krispy Kreme is known the world over for it iconic doughnuts, sweet treats and coffee. In India, the Landmark Group is a licensed franchisee. Citymax India is the Hospitality division of the Dubai based retail giant Landmark Group. Citymax India brings customers a gamut of choices in casual dining and family entertainment across major cities in India. The vision of Citymax India is to become an integrated hospitality company by blending great service and facilities with superlative value.